Joint Ticket with The Image Book £10.50/£8.25 conc. 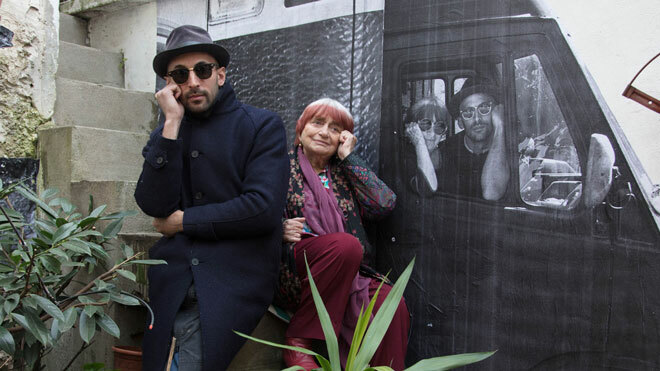 Faces Places sees the iconic Agnès Varda and photographer JR take their shared passion for image-making on a road trip like no other. Driving JR’s photo booth-truck, they stop off at rural French villages and small towns, meeting surprised residents and leaving each location a large-scale portrait before they leave. What follows is an inspiring, heart-warming tribute and insight into small, often neglected communities, documented with Varda’s usual light and playful but tender touch. A Cannes Film Festival award-winner and Academy Award nominee, Faces Places is a beguiling, life-affirming insight not only into the meaning of community, but cross-generational, cross-gender friendships. Playing as part of a double bill with Jean-Luc Godard’s The Image Book. Discounted joint ticket available.